If you have any questions or want to enquire about dates, use our form to contact Derek & Katrina Gray or see their website for more information. 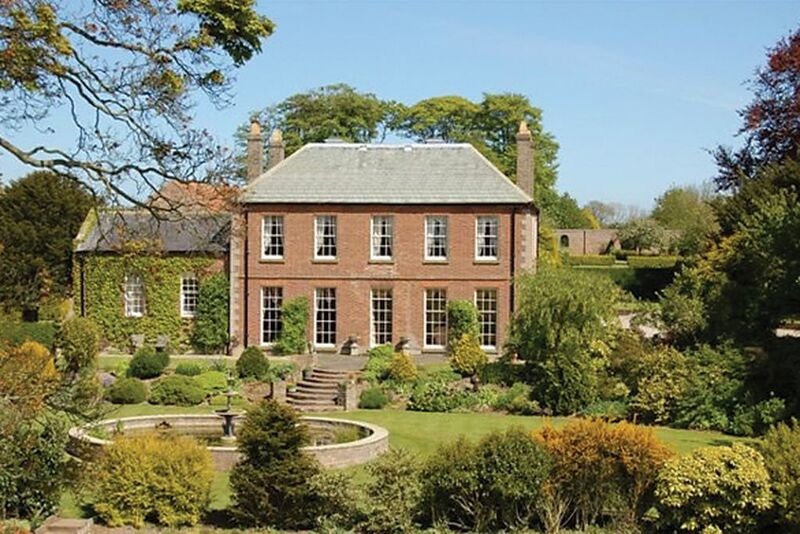 Drive through mature trees, and a proper entrance with signs, to a listed Georgian manor house in 300 glorious acres; tea awaits in the guest sitting room. The graceful dining room has heartlifting views across the landscaped gardens, and there are many original features: fan-lights, high ceilings, broad staircases. Bedrooms are sumptuous, traditional, with lots of thoughtful extras: chocolates, biscuits, monogrammed waffle robes. You are warmed by straw bale heating, and the food is local and delicious. An award-winning breakfast sets you up for a day of discovery: visit RSPB Bempton Cliffs, and the Wolds that have inspired David Hockney. Supper £28. Wine from £15. It was a great pleasure staying at Wold Cottage. We were made to feel completely at ease by Katrina on our arrival and throughout our stay. For Katrina attention to our requirements was a priority. The accommodation which is spacious, fresh and airy is excellent. The location allows access to both the Wolds and the coast and their wonderful wildlife. Overall we had an enjoyable and restful stay, the spacious grounds afford a glorious tranquility. We would be happy to return and enjoy the experience again. This charming and historic house is beautifully situated in delightful countryside and surrounded by immaculately tended gardens. The accommodation affords every luxury in a spacious and tastefully decorated suite. Most of all, the genuine East Riding hospitality extended by the owners made our stay quite perfect. Beautiful house, friendly welcome, delicious breakfast, comfortable bed. I could not fault this delightful B and B. A charming house in a very quiet location where the equally charming owners provided us with a very warm and friendly welcome and take a real interest in their guests. From tea and homemade cake on our arrival we spent three very comfortable nights here. The breakfasts were excellent with a wide choice and included home made bread and preserves. Definitely highly recommended.